Rachel Maddow hinted on Monday night that Democrats could invite special counsel Robert Mueller to the confirmation hearings for Donald Trump’s attorney general pick William Barr. The hearings, which are set to begin on Tuesday, will focus heavily on whether Barr will allow Mueller’s investigation to remain unimpeded and be released to the public when it concludes. Maddow hinted on Monday, though, that if Democrats really want to ensure that Mueller and Barr are on the same page, they should invite the special counsel to the hearing like they did when Richard Nixon sought the confirmation of an attorney general during the Watergate era. With Bill Saxby’s nomination in December 1973 specifically, a kind of amazing and singular thing happened, because when Saxby got up there to be the fourth attorney general for Nixon, Democrats on the Senate committee that was considering him, they not only sought assurances from Saxby that he would let the Watergate prosecutor proceed without interference, that he would provide him the sources he needed, he’d get out of his way, make sure he was protected. In addition to that, the Democratic senators on that committee considering whether he would be the next attorney general, they also did something kind of nuts. They brought the Watergate special prosecutor into the hearing room and swore him in and made him sit down next to Bill Saxby the attorney general nominee so the two of them were sitting there side by side. They both had to swear under oath that they both understood about the special prosecutor’s independence. They both had the same understanding of it, they both respected it. I mean, that’s weird, right? I mean, the prosecutor was not being confirmed by the Senate in that moment but they made him sit down and get sworn in right there with the guy who was being confirmed. I mean, this attorney general nominee, they made him swear he wouldn’t interfere with the Watergate investigation but remarkably, they made the Watergate prosecutor sit down next to him and swear that he understood that as well. While it’s fine that Barr released a prepared statement claiming he would allow Mueller’s investigation to be completed and released to the public, we shouldn’t take his word for it. When hearings start on Tuesday, Democrats shouldn’t just roll over and accept Barr’s recent change of heart. Instead, they should make him swear under oath that he will do nothing to thwart Mueller’s probe – which has taken on increasing importance in recent days – and release the findings to the public. And, if they truly want to guarantee that Barr and the special counsel are on the same wavelength, they can pull a page from the Watergate playbook and invite Mueller to the hearings. It is a great idea, Trump will do all he can to escape justice. 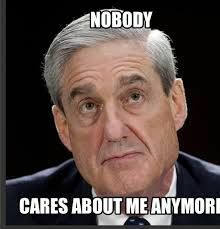 mueller a work must go on. We're happy to allow Mueller to join in. 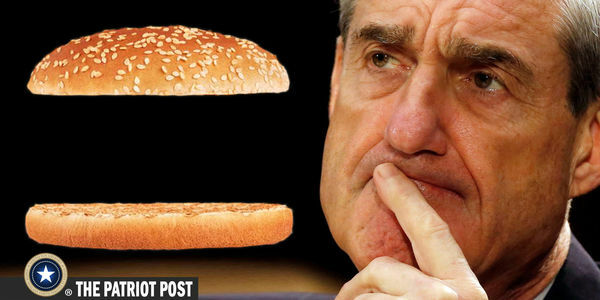 He's got a bag full of nothingburgers they can snack on while they confirm Mr. Barr. Besides, he won't have much to do after he reveals that his investigation has turned up squat. 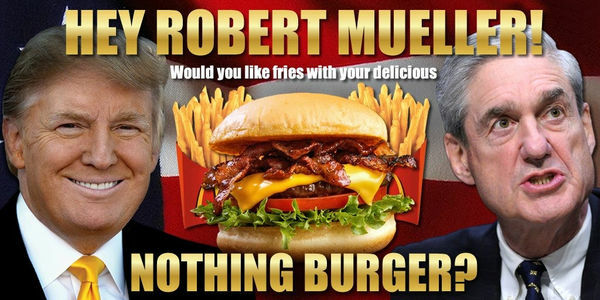 Nothing burger? Who are you parroting with that? Mueller has numerous indictments several convictions and over 45 million in assets seized from criminals caught up in the investigation. Trump squeals like the pig he is every time he thinks of Mueller. Nixon was said to guzzle gin by the bottle when the walls were closing in on him. Trump should take up drinking. And absolutely nothing on Trump. You poor Goobers are gonna be crying again. Obstruction of justice to start with, that’s obvious and the report isn’t finished yet. Think as hard as you can about this, why is your idiot Pumpkinfuhrer whining and tweeting and trying to stop the investigation and discredit his own justice Department unless he is guilty? Don’t you think he must be hiding something? He already violated the presidential records act by destroying the interpreters notes from his meeting with his boss Putin, why would he do such a thing? This is Nixon all over again but Nixon was just a crook, Trump is a crook and a traitor.